If you have an alarm, use it; it won't work unless it is armed. 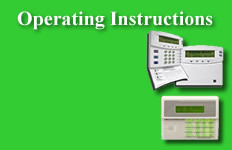 Since 1995, ABC Security has specialized in custom-designed security systems to protect both homes and businesses. Although we're based in the Macon/Middle Georgia area, we service all of Georgia. For both commercial and residential applications, we install only the best equipment, proven through field use. All of our systems carry a full one-year guarantee covering both parts and labor.